If the embedded video doesn't play, it's also available at this link. 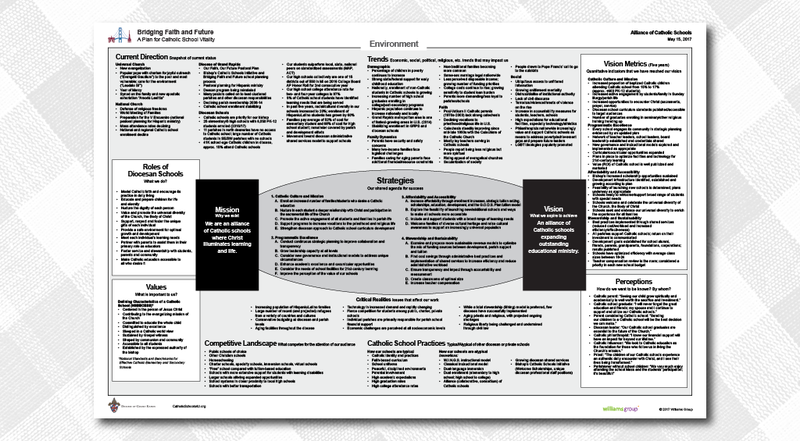 The FlipDoc available at this link summarizes the plan's content and describes how the plan was developed through the Bishop's Catholic Schools Initiative (described below). Printed copies of this summary, and trifold pamphlets about the plan, are available from the Office of Catholic Schools. A Spanish-language version of the FlipDoc is available here. The document at this link is our "Catholic Schools: Bridging Faith and Future" plan for Catholic school vitality. It is a comprehensive plan that shares a vision and provides direction for the future. The glossary of terms at this link accompanies the plan. 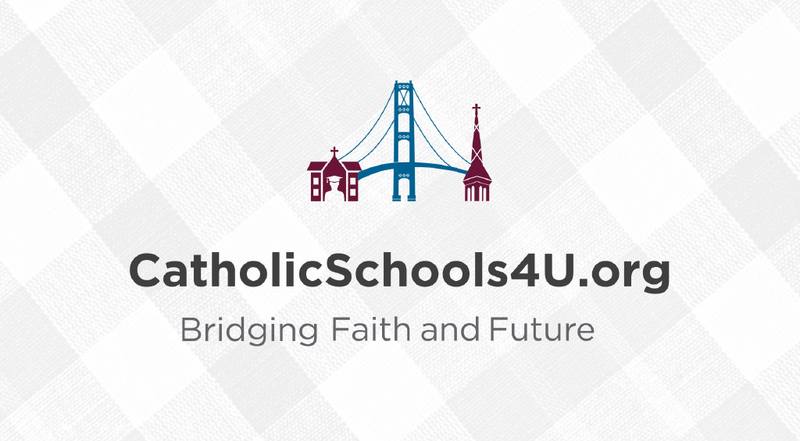 Please contact the Office of Catholic Schoolswith any questions you have regarding "Catholic Schools: Bridging Faith and Future" or our Catholic schools. 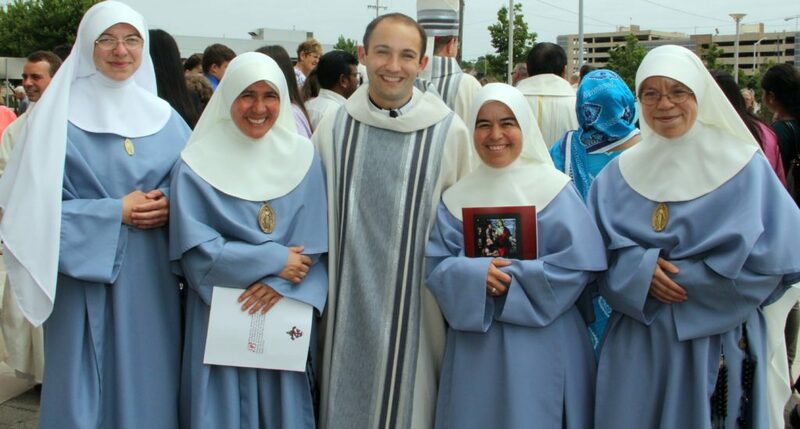 “Catholic Schools: Bridging Faith and Future” grew out of the Bishop’s Catholic Schools Initiative. 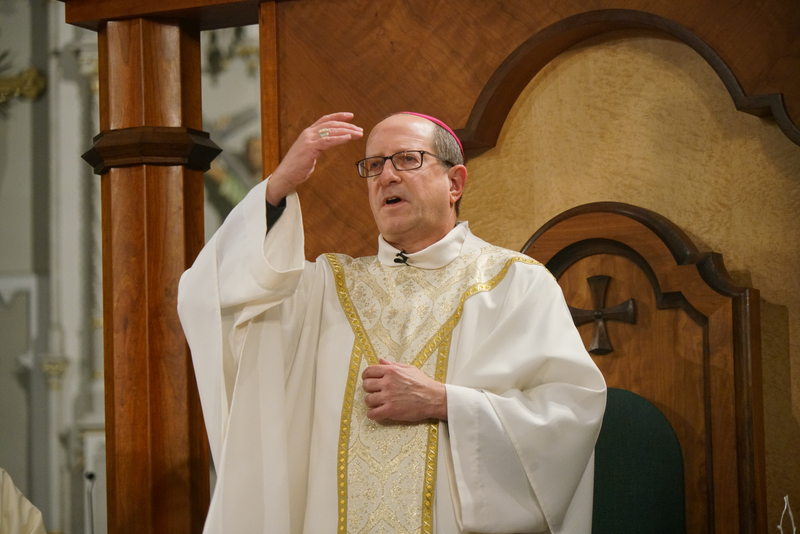 Bishop David Walkowiak, who attended Catholic schools and ardently supports them, wants more young people to have the same opportunity he had. 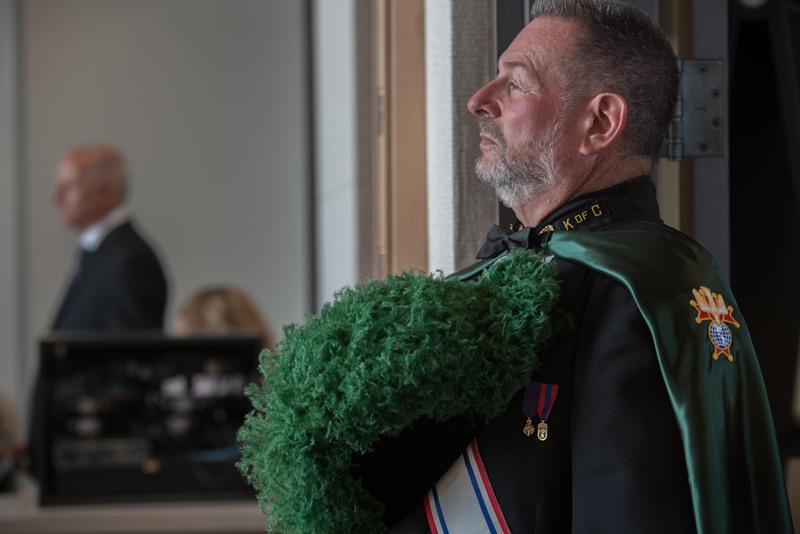 To that end, he launched the three-year Bishop’s Catholic Schools Initiative, a three-year, three-part plan for growing enrollment: improving affordability through increased scholarships, growing professional capacity, and developing a plan for future vitality. The Bishop's Catholic Schools Initiative spanned from 2015-16 through 2017-18. 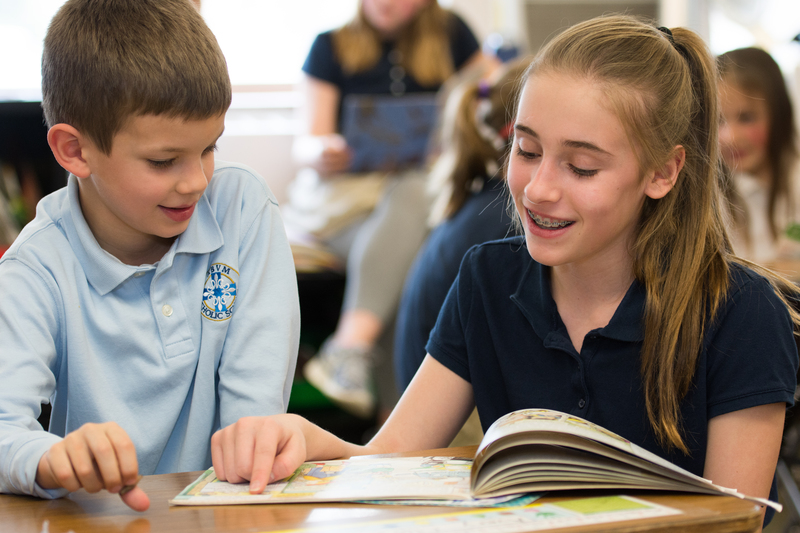 In November 2014, Bishop Walkowiak more than quadrupled the amount of available diocesan scholarship funding for Catholic schools for the three years of the Bishop’s Catholic Schools Initiative. 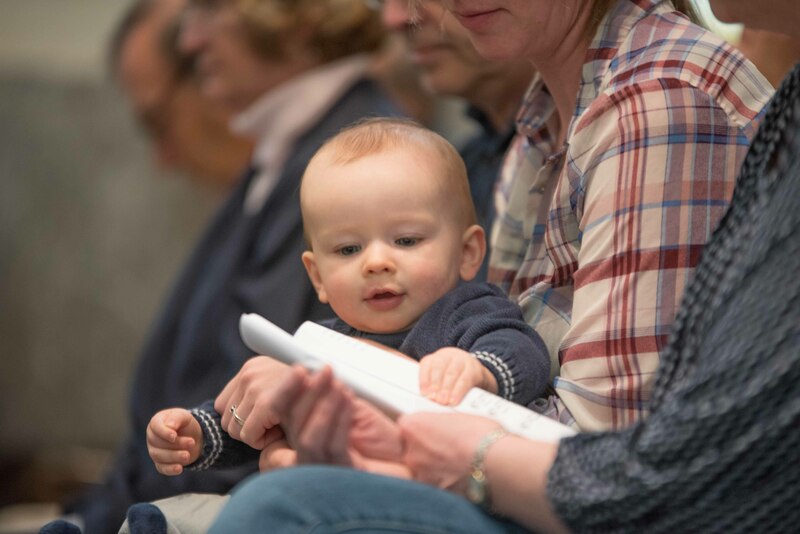 The increased scholarship funding supports current Catholic school families as well as new families. More than $2.3 million in scholarships were awarded during the Initiative, and they are still available today. Learn more about scholarships. Additionally, the Bishop’s Catholic Schools Initiative added new professional roles to the Office of Catholic Schools: an admissions enrollment field consultant, a marketing communications coordinator, and an elementary schools athletic director. The admissions enrollment field consultant implements enrollment management and recruitment strategies and leads our team of admissions advocates. 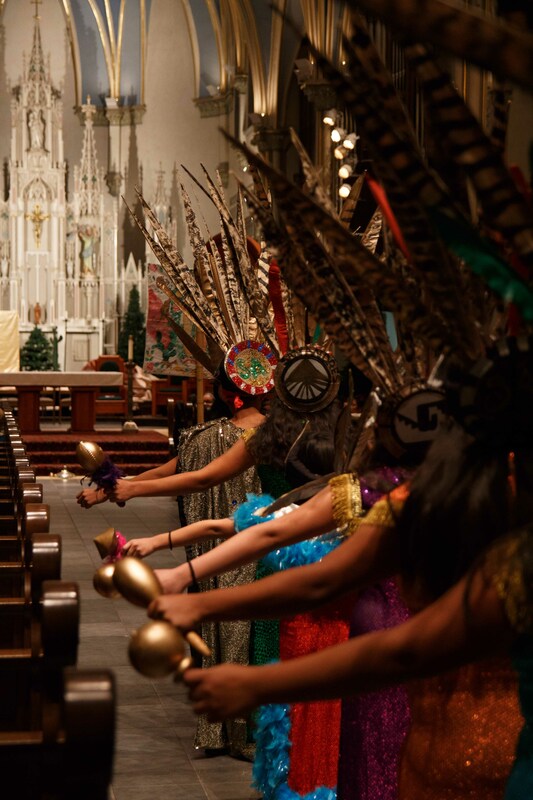 Their role is to identify and invite families to consider Catholic education at all 31 schools in the diocese; they focus on reaching out to our growing population of Hispanic families and other historically underserved parishes without schools. The marketing communications coordinator implements the preschool-12 marketing plan and manages our webpage and social media. The elementary schools’ athletic director organizes a growing number of elementary athletic programs. Finally, we developed our plan for future vitality. 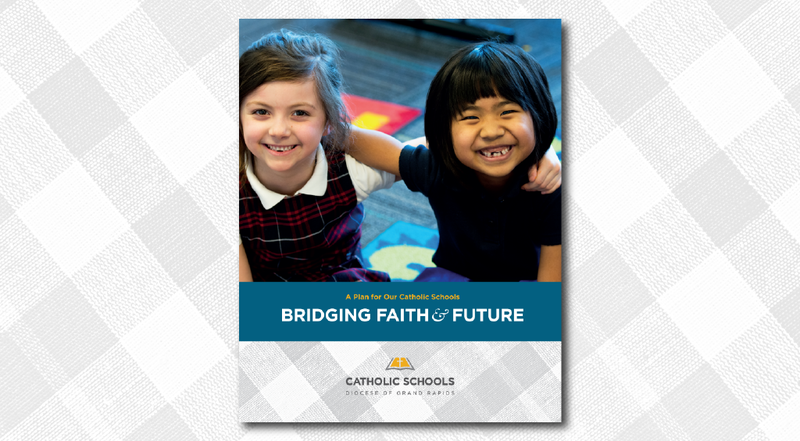 The "Catholic Schools: Bridging Faith and Future" planning process began in the winter and spring of 2016 as we shared data and took public input through community forums. Our strategic planning steering committee spent the summer of 2016 turning that data and input into a draft plan which was then shared in community forums in the fall of 2016. The final plan was completed and shared with decision makers in May of 2017, and planning for implementation immediately began. Bishop Walkowiak’s plan to grow enrollment at Catholic schools in the Diocese of Grand Rapids is bearing fruit. Preschool-12 enrollment in the 2015-16 academic year was 6,454 – 1.6% more than in the previous school year. The 2016-17 school year had an enrollment of 6,550, 1.5% year-over-year growth. Enrollment for 2017-18 was 6,605, 0.8% year-over-year growth. In the 2018-19 school year,we’re glad to serve our largest preschool class in 21 years and our largest kindergarten in six years. These strong numbers at the entry levels will continue to benefit the growth and vitality of our Catholic schools. The Bishop's Catholic Schools Initiative has received national recognition, where it was featured in the summer 2016 issue of Momentum by the National Catholic Educational Association.